Nitrous oxide (N2O) is an important focus of international greenhouse gas accounting agreements and mitigation of emissions will likely depend on understanding the mechanisms of its formation and reduction. 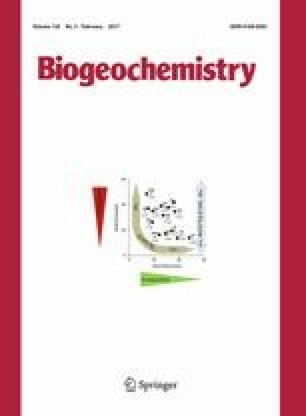 Consequently, applications of stable isotope techniques to understand N2O cycling are proliferating and recent advances in technology are enabling (1) increases in the frequency of isotope analyses and (2) analyses not previously possible. The two isotopes of N and 3 isotopes of O combine to form a total of 12 possible isotopic molecules of N2O. Consequently, this remarkably simple molecule contains a wealth of isotopic information in the form of bulk (δ15N, δ18O), position dependent (site preference), mass independent (Δ17O) and multiply-substituted or clumped isotope compositions. With recent developments in high-mass resolution double sector instruments all 12 isotopic molecules will likely be resolved in the near future. Advances in spectroscopic instruments hold the promise of substantial increases in sample throughput; however, spectroscopic analyses require corrections due to interferences from other gases and frequent and accurate calibration. Mass spectrometric approaches require mass overlap corrections that are not uniform between research groups and interlaboratory comparisons remain imprecise. The continued lack of attention to calibration by both funding agencies and investigators can only perpetuate disagreement between laboratories in reported isotope values for N2O that, in turn, will compromise global assessments of N2O sources and sinks based on isotope ratios. This review discusses the challenges and opportunities offered by the isotopic complexity of N2O. This work was funded by the National Science Foundation’s (NSF) Earth Sciences Instrumentation and Facilities program (Grant #1456430), NSF’s Geobiology and Low Temperature Geochemistry program (Grant #1526926) and the Department of Energy Great Lakes Bioenergy Research Center (DOE Office of Science BER DE-FC02-07ER64494). The authors declare that they have no additional conflicts of interest.